Today, with the quick and ever changing development of the digital currencies markets, more investors are starting to pay attention and learn about the many benefits of investing in cryptocurrencies. With the growing popularity of digital currencies around the globe, more and more companies that offer services, such as buying, selling and storing of cryptocurrencies have emerged. To the investors, of course, the first and most important subject when choosing the best crypto exchange website, is security. With this on mind, a new digital currency exchange platform named Cryptoniqa, has developed the platform can provide a very easy usability for clients and also a ultra-high security level for all users that trust them with their finances. Cryptoniqa gives a variety of high-quality services to its clients, including the opportunity to buy Bitcoin and Litecoin instantly. This is done simply by using a credit or debit card (Visa, MasterCard, Visa Electron, Maestro and more). 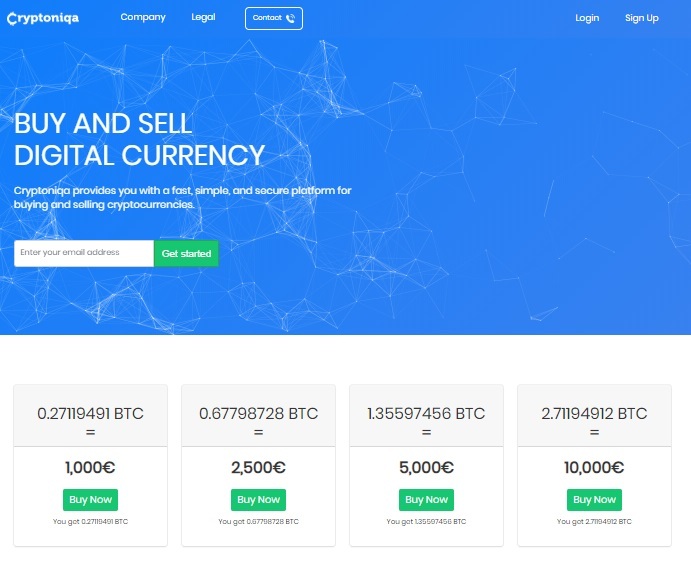 Cryptoniqa also lets the clients exchange Bitcoin for Litecoin, as well as purchase and sell Bitcoin and Litecoin via bank transfer with fiat currencies, such as USD, Euro, GBP and more. The clients are able to not just buy Bitcoin via a Wire transfer, but also enjoy a very low transaction fees. The minimum amount for a wire / bank transfer is $200 and the maximum is set for $50,000 but the clients have the ability to raise this limit if needed. Cryptoniqa takes a commission of %10 for each sell or buy order and this is how they make their own profits. Cryptoniqa lets clients and companies also enjoy the benefits of OTC trading, meaning that two parties can simply trade currencies, without third party supervision. Cryptoniqa is now also working on launching a personal company debit card option, which can further provide ease to their dedicated clients. With the Cryptoniqa company debit card, the users can use cryptocurency for everyday purchases and withdraw cash from ATM’s easily. Every service available on Cryptoniqa.com is backed up by exceptional security technology infrastructure, designed to protect the client’s funds and personal information. Login guard, two-factor authentication, cold storage, and the highest data encryption standards available are established to provide the best possible comfort to the clients. Furthermore, Cryptoniqa is ensuring complete legal compliance to protect the users and exchange via robust AML and KYC policies, FinCen registration, and PCI DSS certification. Cryptoniqa is dedicated to making it easy for everyone to become part of the cryptocurrency world. Therefore, they have established a customer support team, available via phone, e-mail, live chat and on social media from Mon – Sat, 8:00 AM – Midnight EST. 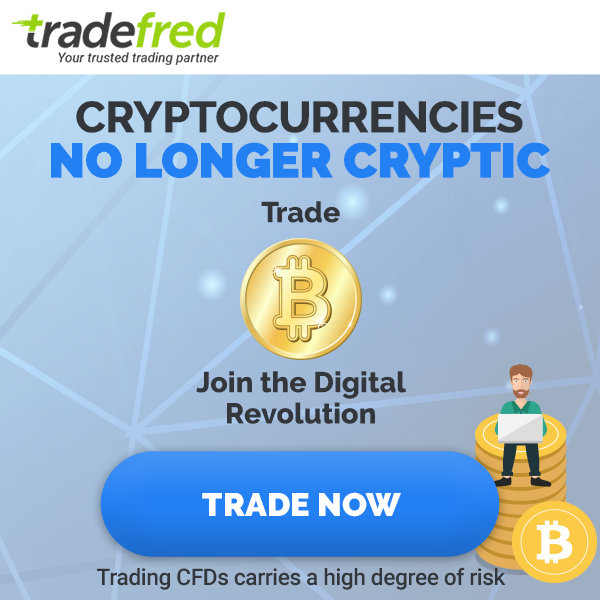 Previous: Previous post: (Australia) ASIC Licensed Australia Crypto Broker: Is AxiTrader Really the Most Complete Broker for Australian Traders? (Australia) ASIC Licensed Australia Crypto Broker: Is AxiTrader Really the Most Complete Broker for Australian Traders? (Australia) ASIC Licensed Australia Crypto Broker: Can IC Markets Make You Forget Other Brokers? What Is a Bitcoin Lottery?